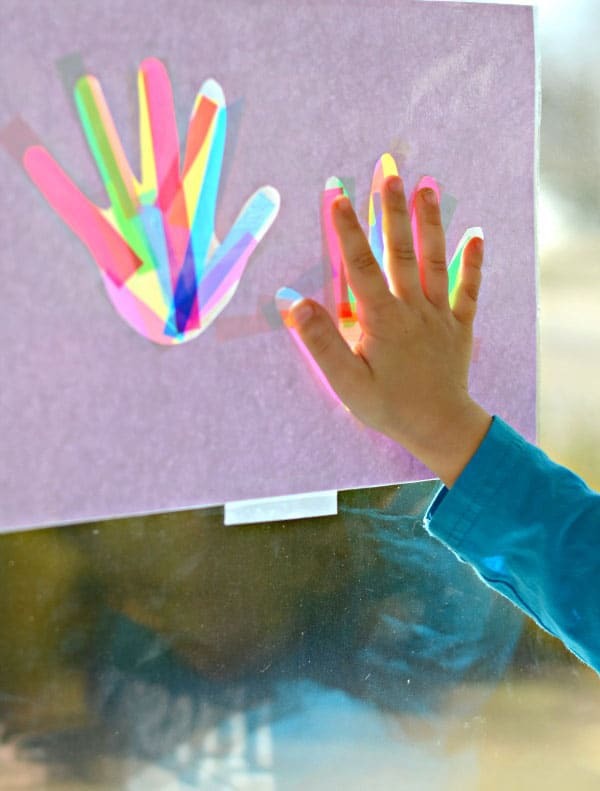 Have the kids use a blank piece of paper as their canvas and leave their prints all over it. 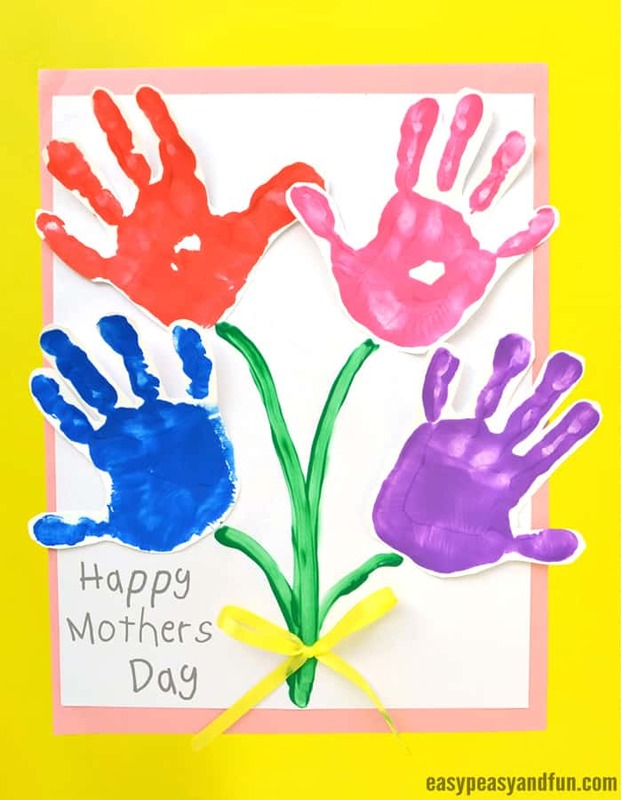 Then, fold it up into a card and write a loving message for Mothers Day! 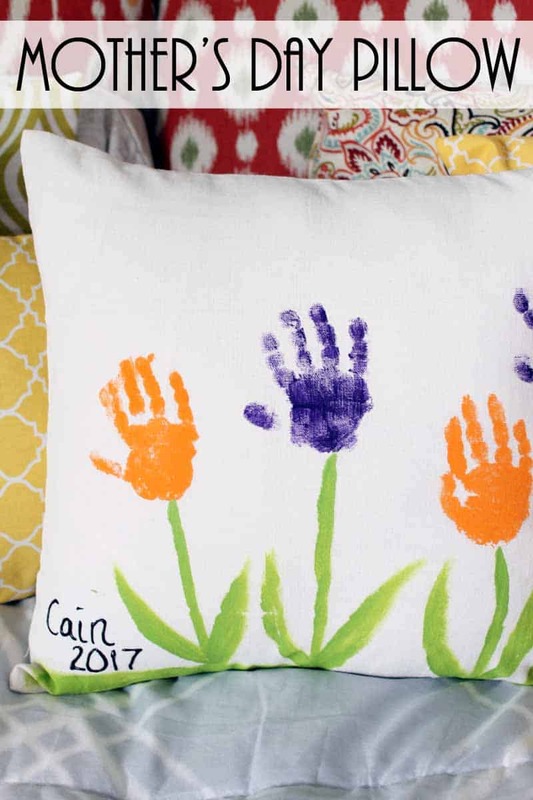 Use handprints on a blank canvas again, but this time with pillows instead of paper! 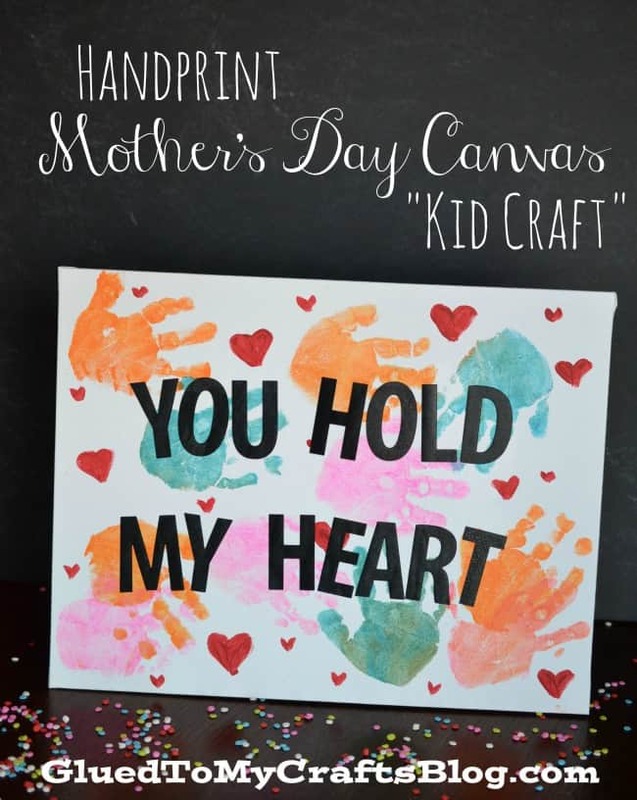 This is a gift that you can easily keep around forever! 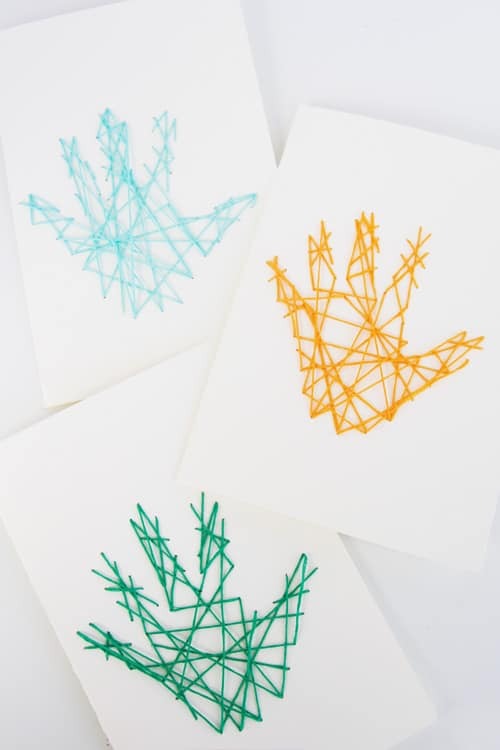 These are not only fun to make, but so fun to look at too. 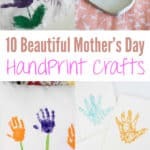 And they can stay up all summer long, not just during Mothers Day. 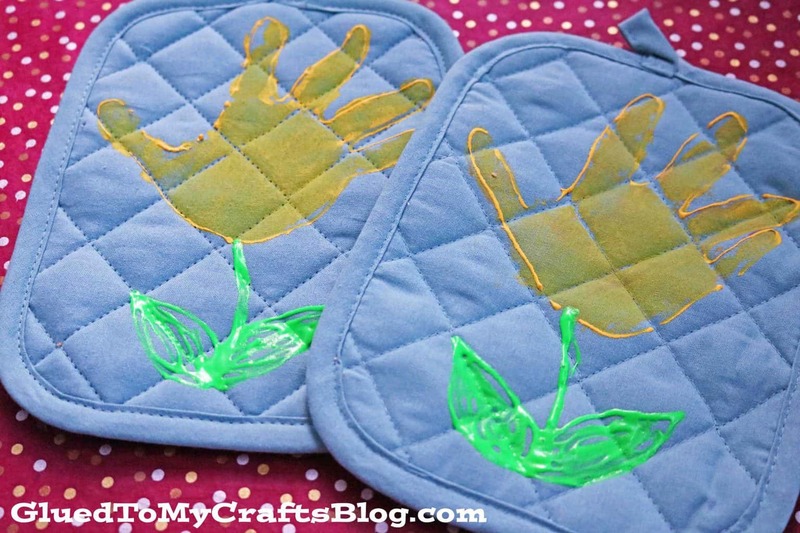 Leave a loving touch on a plain potholder to gift mom a useful and thoughtful gift this Mothers Day! 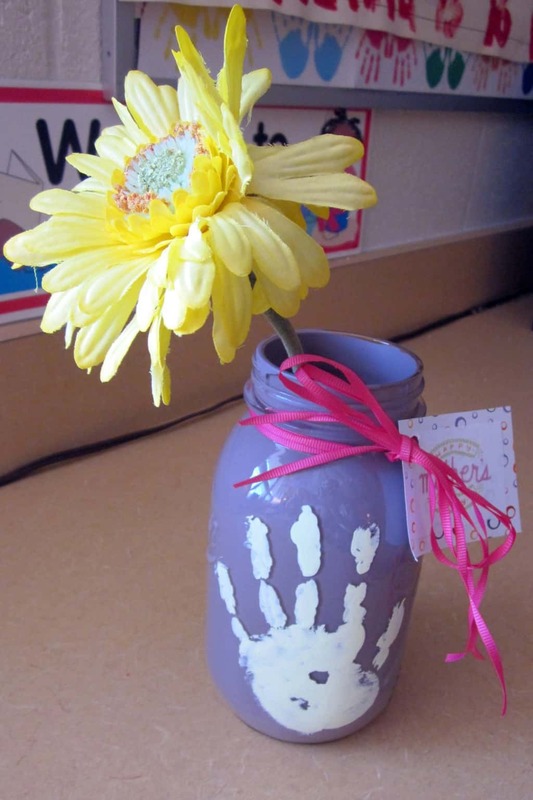 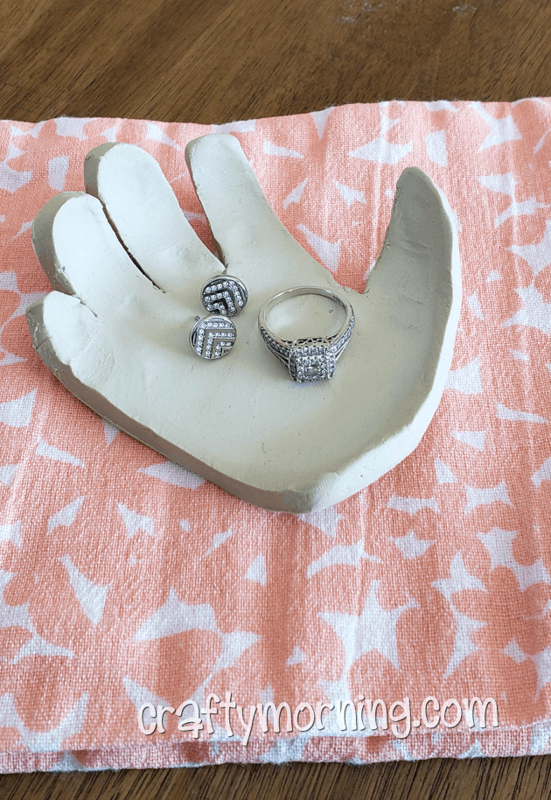 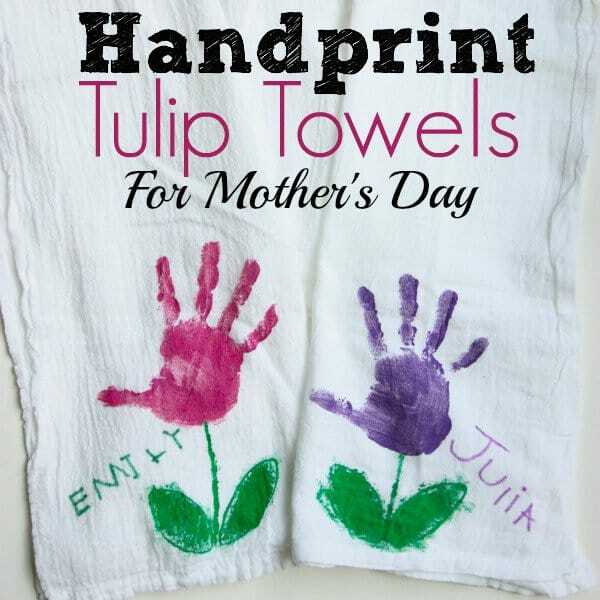 Another fun way to use handprints on popular household items! 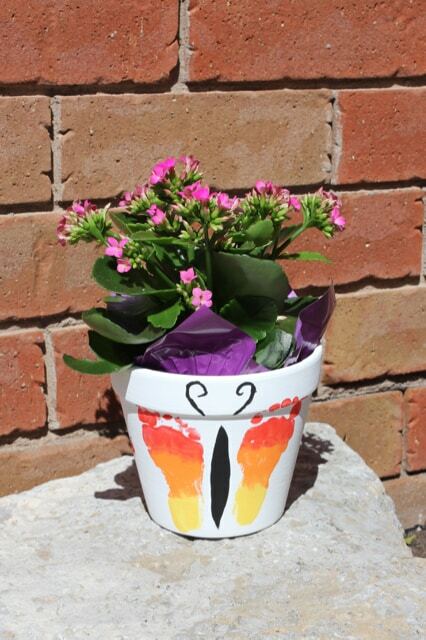 Another fun way to add a thoughtful touch to the gift of flowers this year.